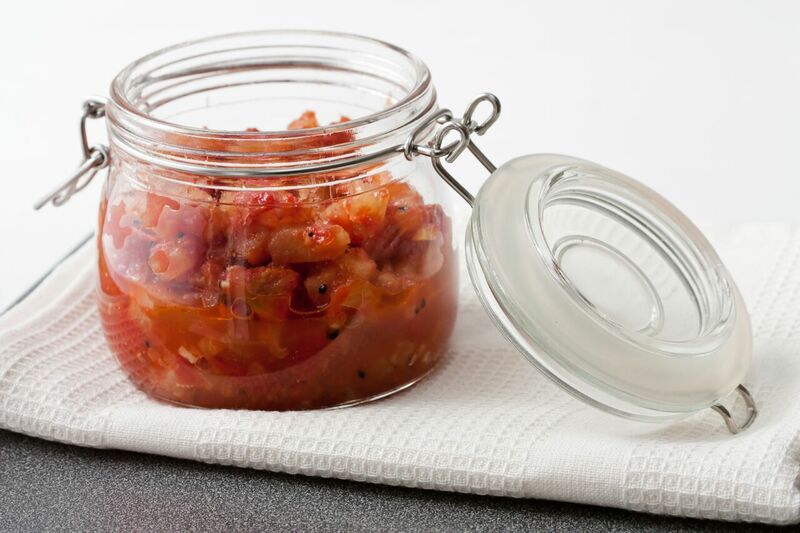 A dollop of our summer chutney will make your barbecue blast off! Over low heat in a small saucepan, combine peaches, tomatoes, vinegar, light brown sugar, cinnamon, cayenne, cumin and a pinch of Kosher salt and ground white pepper. Simmer, stirring with a wooden spoon or whisk, until mixture naturally thickens, approximately 8 minutes. Remove from heat and allow chutney to cool to room temperature.